@nyashanicole 2016. Powered by Blogger. This is a Collab with Emily from The Unfazed Millennial. She is a fitness, fashion, DIY and lifestyle blogger. If you’re looking for some fitness inspo, she’s your girl! Oh and did I mention she is a model too? Yea superwoman vibes right there. I love seeing what other women keep in their bags and being the girly girl that I am I really enjoyed working on this. We are sharing our Top 5 must-have beauty items. 1. Hater blockers: 😂 yes, I said it. I can't go anywhere without these babies. This particular pair is from Cotton On. Simple, cute and oh so stylish! 2. MAC Mineralize Skin Finish: Somedays, I just leave the house with no face on, as soon as I change my mind and want to put in an effort, this powder comes to the rescue! 3. Mascara: One of my best friends thinks its a little silly that I always carry a tube around but I can't be without it. Bare face with mascara any day over just a bare face. For as long as I can remember, Maybelline has been my go-to brand for mascara, yes I know there are plenty of other great ones out there. But Maybelline has always been THE ONE for me, and I hoard their empty mascara tubes, they are just so funky and colorful! 5. Lip Balm: Five words: Nobody likes chapped lips babygirl. 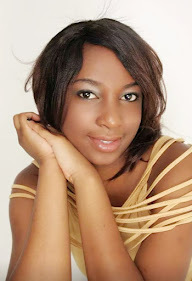 Emily Kandanga, blogger at The Unfazed Millennial and write about fitness, fashion, diy and some lifestyle bites. 1. Tools (Mascara & Eyebrow Pencil): I don't wear makeup, when i do its just mineraliser and lipstick so i try to put some effort on my eyes. I ensure they are in shape and filled up using an eyebrow pencil and then wear Mascara and sometimes eyeliner too. This little eye kit has saved me so many times, it always transforms my look from being too basic. 2. 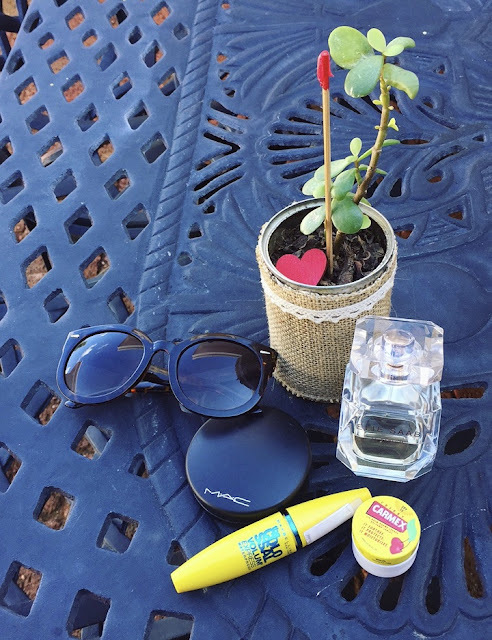 Lip Balm: Our lips are a part of the face, one of the first features we are identified by and so it is important to keep my lips moisturised throughout the day. If you get a chance to stop by my blog you will realise i am a lover of natural products, and that is why this is one of my repeated purchases. This particular Himalaya lip balm contains wheat germ and carrot seed oil which help to nourish and prevent dry, chapped lips. 3. Hand and Nail Cream: The hand cream i am using now is by Clicks, South Africa and it has so much sentimental value to me. I got it from my late grandmother’s handbag (sobs). I love the pomegranate smell which is not too sweet but still feminine and matured. Ladies our faces may still be youthful but our hands and feet will in most cases always reveal the real age and hence the importance of keeping them moisturised. Throughout the day you visit the bathroom and wash your hands (well i hope you do wash them LOL) so it is important to keep a hand lotion with you to constantly moisturise the hands. 4. Perfume: The current perfume in my purse is Decadence by Marc Jacobs. It is the smallest of my perfume bottles so fits perfectly in all my hand bags. Writing this post just made me realise i need to invest in a miniature perfume size. 5. Tissue & Face Blotting Paper: I have really oily skin so i always need to have face blotting paper to wipe my face throughout the day. And of course which lady would go out without tissue? You’re probably thinking.. that’s it? Yes! I I am a minimalist. 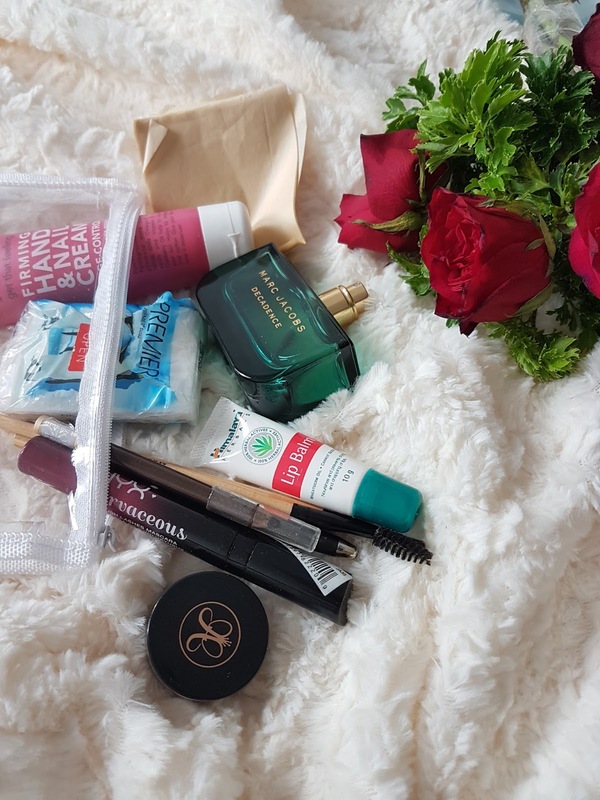 What beauty products do you have in your bag right now? Looking forward to reading all about it in the comments. Oh and please be sure to check out Emily's post here. I'm a huge fan of Carmex, my favorite lipbalm ever! I've never tried Himalaya lip balm. Now I'm so intrigued! This is truly such an amazing post, great items too, I love it. Thank you for sharing!!! A lot of interesting products! I love MAC products, but haven't tried that skin finish. I tend to be running out of the house makeup free a lot lately, I should try putting on a dab of mascara to freshen up a bit!! Interesting products!! Specially the lip balm! Great post! There's no life without Carmex lol. Okay, a lil exaggeration, but I looove it. Hahahah I had actually never heard of it before this. Now i am informed & will go try it. Love seeing your favorites. I won't lie, I have to have my mascara and sunnies too! All things every girl must carry with her. I always have lipstick with me! Maybelline really does do amazing mascaras, everything i want to buy a new one I look around for other brands but always eventually fall back on my maybelline! If there's one makeup I have to wear or carry in my bag at all times, it's mascara. My lashes are pathetic so I need them. Love seeing all your favorites. So many amazing products! Love the MAC skin finish! Join me in my natural hair, lifestyle and DIY beauty discoveries.